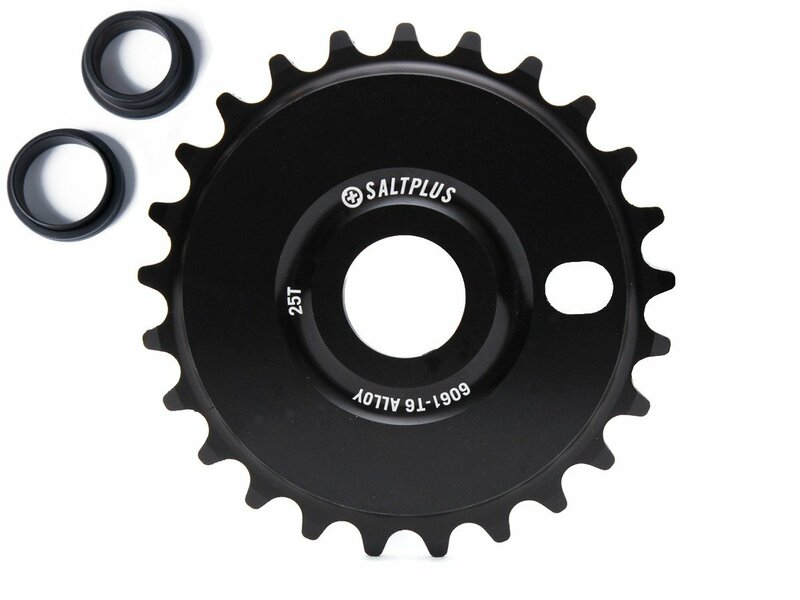 The SaltPlus "Solidus" Sprocket is made by 6061-T6 Aluminum and is a fully 3D CNC'd dual thickness solid sprocket. The SaltPlus "Solidus" Sprocket has a centre hole 15/16" (ca. 24mm), supplied with both 19mm and 22mm top hat washers to fit most BMX cranks.